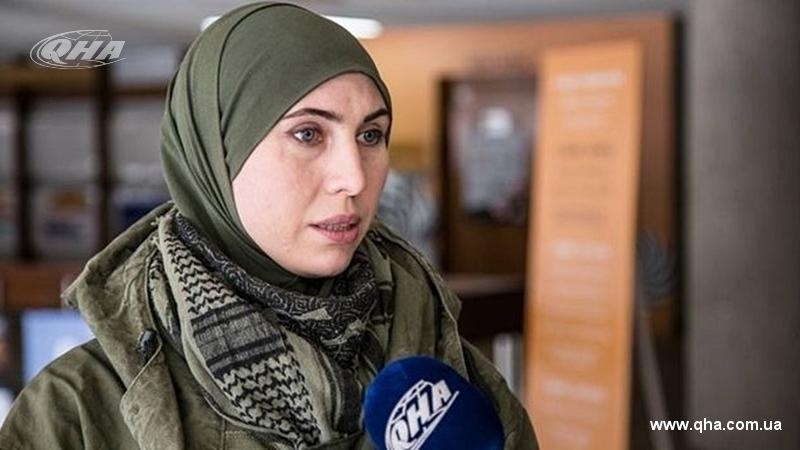 As a result of the shelling of the car, Amina Okueva was killed, People's Deputy Anton Gerashchenko informed on his Facebook page. According to him, the incident occurred at the railway crossing near the village of Glevach of the Kyiv region. As a result of the injuries Amina died. Also, Gerashchenko noted that her husband Adam Osmaev was injured, but his life is not threatened. Previously, in the evening of June 1, 2017, a couple was also assassinated. Introducing himself as a journalist, the criminal had insinuated the fighters of the Kyiv-2 voluntary battalion Adam Osmayev and Amina Okueva, and then opened fire. Later, Okueva reported that the Muslim fast, which they observed, "was beneficial for Adam’s surgery." On June 6, Adam Osmaev was able to meet with journalists for the first time after the attempt on him and Amina Okueva to tell about his health.